Brand new 1 bedroom/1 bath, fully furnished to American/Euro standards. 2nd floor w/ balcony overlooking lagoon style pool. 36 sq. meters. 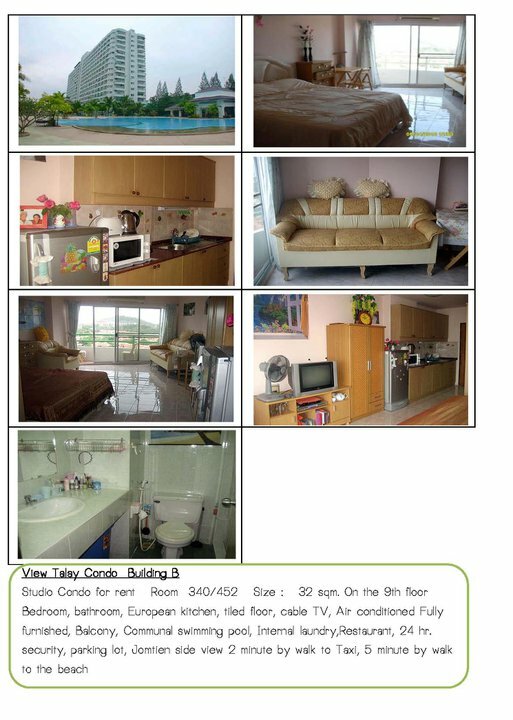 Foreign Freehold (meaning can be fully owned by American or other non Thai citizen), 700 meters from Jomtein beach and close to Walking street the party capital of Thailand with hundreds of bars, restaurants, go-gos, etc. The condo was just finished being built in April 2010 and due to new job and no longer being on that side of the world, wish to sell. Great vacation home for someone who travels or works on that side of the world. Easy to rent out as major tourist attraction for Americans, Europeans, and other countries. Has on-site cafe, bar, laundry,24 hour reception, internet cafe (also free wifi), and 24 security guard at the entrance, shuttle on site. Never lived in and ready for a new owner. Priced for quick sale so I can invest in a business back in the US.